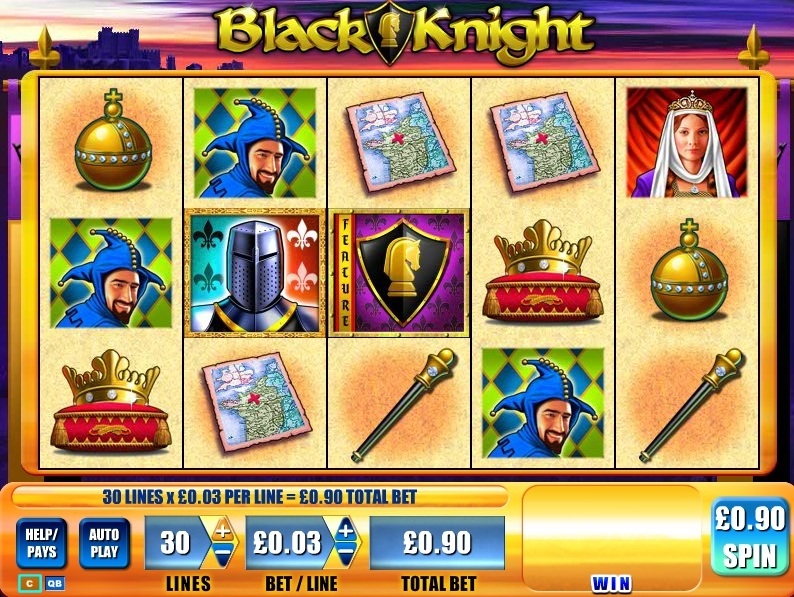 A slot game that has built a decent following since being introduced online is Black Knight. The 5 reel, 30 pay line slot from WMS which is set in an era of Kings, Knights, Queens and not forgetting Jesters. Like all WMS slots there is a progressive jackpot linked to this game that can be triggered at anytime. Frustratingly for US citizens, Black Knight and other WMS slot games cannot be played for real money due to Federal laws restricting online gaming. 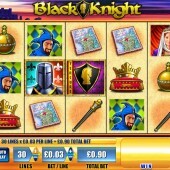 As the name of this slot implies, there is a great deal of focus on the Black Knight. He only appears on reels 2, 3 and 4 and acts a a wild symbol, replacing any other symbol including the feature scatter. If you trigger the bonus round, then the Black Knight has another part to play. If he appears at anytime during your 7 free spins then he will expand across the whole reel and will be held for the remainder of the free spins. You can get up to 3 of these during the bonus round, although I have never seen it myself. Black Knight is just one of several slots released online by WMS, which also include the popular John Wayne, the Wizard of OZ video slot and the martial art slot Bruce Lee. There are more being added all the time, including slots that have never been released in a casino as a slot machine. For US players the hope is that laws will change over time or that the industry will get regulated so that we can all enjoy playing WMS slots online.